Sally Babbitt, Attorney &amp; Mediator, Babbitt Legal Group, talks about clients can feel more comfortable approaching and working with a lawyer. For more information, please visit www.sallybabbittlaw.com or by calling 517-507-3306. WSYM —Sally Babbitt, Attorney & Mediator, Babbitt Legal Group, PC, talks about clients can feel more comfortable approaching and working with a lawyer. 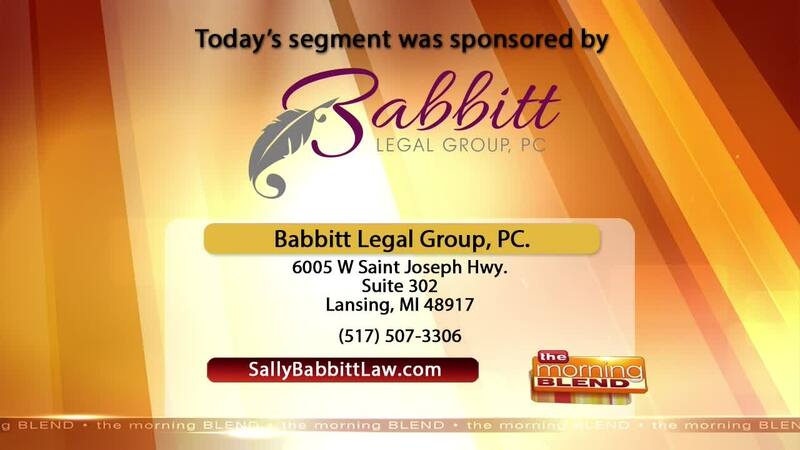 For more information, please visit www.sallybabbittlaw.com or by calling 517-507-3306.